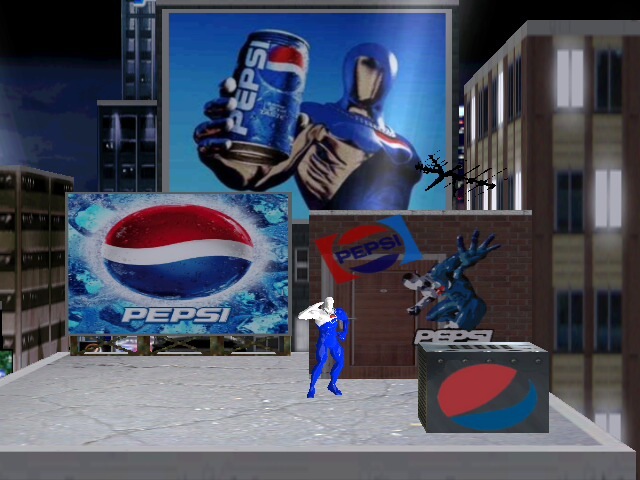 Ever since I showcased Iwvi's infamous Pepsiman hack (http://forums.kc-mm.com/Gallery/BrawlView.php?Number=28889) to my buds at college, one of them instantly recognized him, and asked me if there was a Pepsi City stage about a week later. I had to answer 'No' unfortunately, as there wasn't one at the time; this was about a year ago. 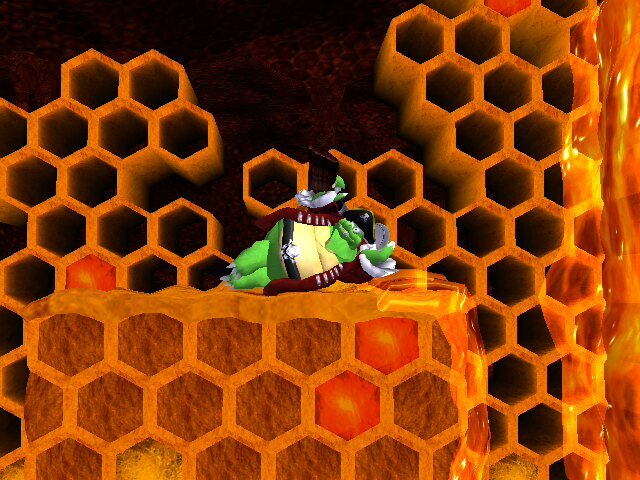 And now... 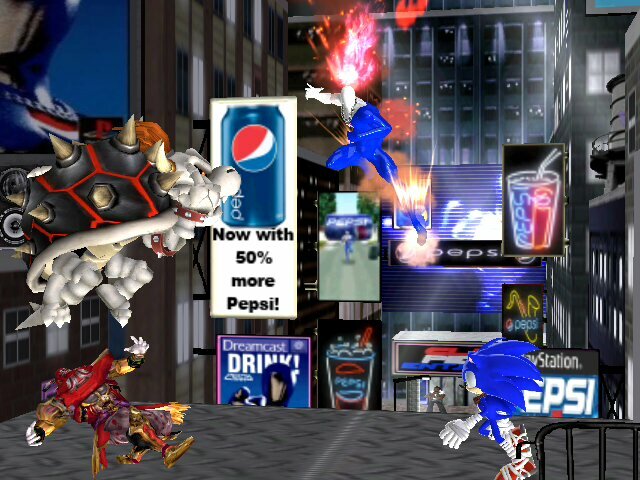 I need a Pepsi. 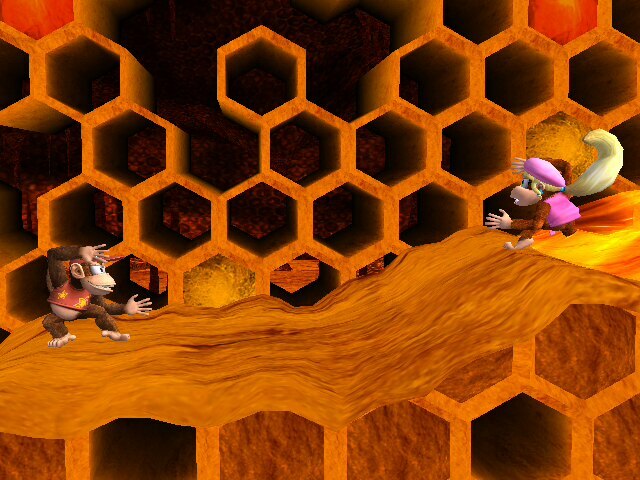 This stage has 2 options: One where you have to jump to get out of the honey, and one that you can just walk/run through it. Yes I said it, working honey! 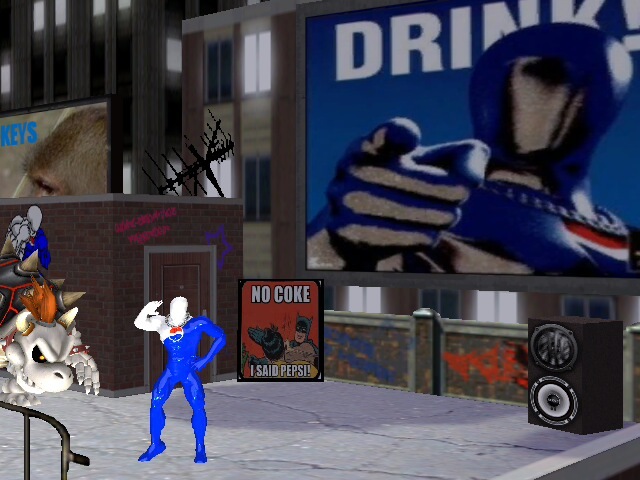 Major credit goes to both DSX8 and Aafyre for working on most of this stage; I only buffed up a few things and released it. 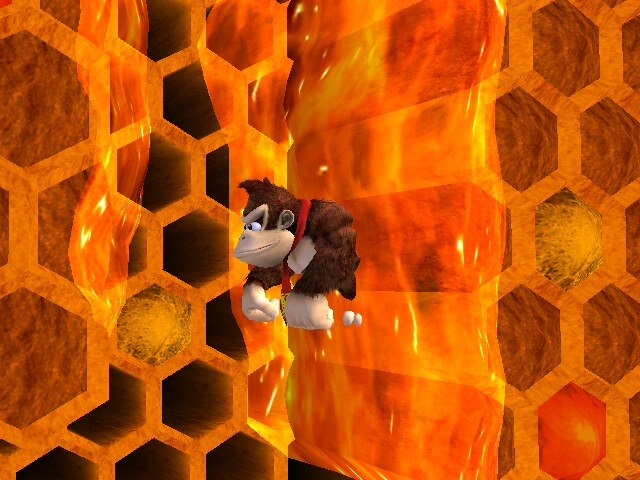 Currently working on getting the honey to 'transparate' properly. A few 'holes' have also been found and patched up by Aafyre.